More on Linkedin, FAcebook, Instagram and Twitter. From September 2016 to January 2017, I have worked on my first BOOK translation next to my other projects. Such hard work but such fun too!! It’s a translation to English of the Dutch book called ‘De hartslag van een ander’ written by Wouter Duinisveld and Marcia Jansen. In English I named it: ‘Someone else’s heartbeat | From transplant patient to triathlete’. Wouter is an Ironman triathlete with a donor heart. His motto is ‘Live, dream, and have fun’. His positive outlook on life is amazing and his perseverance and discipline are beyond human in my opinion. He is a husband and a father of two as well as a speaker, and an ambassador of organ donation (Dutch Donor Week) and myocarditis. But above all, I think he is a sweet and lovely guy, and a true survivor. We will keep you posted! 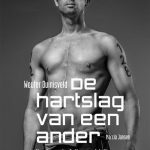 Wouter Duinisveld is currently negotiating with Amazon.com to have the English translation (working title: ‘Living on borrowed time | from transplant patient to triathlete’) published as an ePub. Pretty wild, eh? 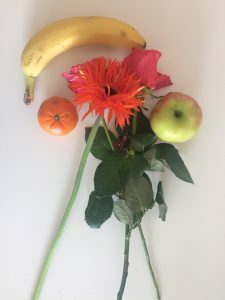 A while ago, Wendy Fossen, freelance reporter at Dutchbuzz radio, recorded an interview with me to talk about the translation from Dutch to English. An excellent opportunity to promote the book internationally to expats. But honestly, it was nerve-wracking – hey, I’m a translator and writer, not a speaker – however, Wendy pulled me through decidedly. The interview starts at 28:20. A truly awesome experience to write for a top tier cycling brand! I have written a number of product articles for a dealer News Platform and a technology campaign. I have also enjoyed the cooperation with Doorrood Persuasive Agency. An agency, specialised in communications and design, in creativity and technology, in simplifying complicated things, in controversial ideas, in strong concepts, in craftsmanship, and more! For Run2Day Den Haag, a store specialised in running shoes, accessories and a wide range of highly fashionable and functional running clothing, I have designed 2 templates in MailChimp. They make it so more convenient to create and send a New sletter or an announcement for special events to their email list subscribers. The good thing about MailChimp is that it provides you with insight into whom is e.g., opens and reads the Newsletter or the special announcement. Receivers can easily subscribe to or unsubscribe from the mailing list. These mutations are done automatically in the database. 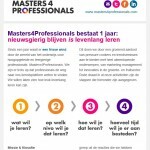 Masters4Professionals is a knowledge platform for Professionals. Their mission statement is to establish a platform, to provide you with tools for lifelong learning and to support highly qualified professionals in continuous professional development. Did you ever wonder how you are going to prepare yourself for tomorrow’s job market and how to develop 21st century skills? Their services like mastership, coaching and interactive learning networks and events may provide you with inspiration and new ideas for your future development! As a member of the Core Team, my responsibilities included the communications, specifically social media, to further strenghten and market the platform. Apart from that, I was also community manager for their website (WordPress) and responsible for content creation. I wrote, edited and proofed content for the website, eg., their range of services. I also wrote the January 2015 Newsletter (in Dutch) for which I created an emailing with MailChimp software. For events, such as the pressure cooker and trend seminar I made sure that the slide decks in PowerPoint ran smooth and flawless with regard to grammar, spelling, design, and format. From my extensive experience as an event project manager I helped organising their events. Lung Fung Restaurant has been a household name for quality and good service in The Hague for many years. They offer Surinam rolls and Chinese-Surinam dishes. 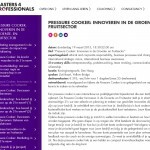 For them, I have written a press release (in Dutch) about the complete makeover of the restaurant. At the end of 2014, their interior transformed from traditional to modern and hip in fresh colours like white, grey and orange. Ultraoutdoorsports is a specialised shop in sports nutrition, trailrunning and triathlon clothing and accessories, like running packs. I do text translations from FR and EN to NL and copywriting in Dutch of product descriptions of Raidlight trailrunning gear and labels of GO2 sports nutrition supplements and sports drinks. Daniel is a dedicated yogi who emphasises the spiritual aspects of Yoga. Daniel spends one half of the year in retreat in Thailand and the other half he is a teacher who organises satsangs and yoga meditation workshops. I met him at the Yogafestival of Terschelling in 2010. I proofed his website in English. Namaste.